Any time a taxpayer incurs a balance due to the IRS, the IRS’s first response is almost invariably to demand that the debt be fully paid, immediately. However, in many situations, the taxpayer does not have the ability to fully and immediately pay the tax debt. This inability to quickly resolve the liability can lead to heavy-handed, enforced collection techniques, such as levies, garnishments, and seizures. 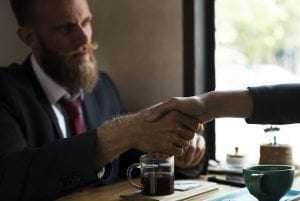 While some taxpayers will qualify for an Offer in Compromise (a tax settlement), oftentimes people or businesses who find themselves indebted to the IRS and unable to full pay will need to enter into a formal Installment Agreement. Once a taxpayer has entered into a formal Installment Agreement, the IRS will refrain from enforcement. In order to enter into a formal Installment Agreement, the taxpayer must satisfy the relatively basic threshold requirements of filing compliance and deposit compliance. Filing compliance requires that the taxpayer be up-to-date with filing all required tax returns (or be on a valid extension). To be in deposit compliance, the taxpayer must be making all required Federal Tax Deposits in full and on time (if applicable). If, for whatever reason, the taxpayer cannot get into filing or deposit compliance immediately, he or she is ineligible for an Installment Agreement and may be at an enhanced risk of enforcement. An experienced tax attorney can oftentimes reduce or eliminate the risk of enforcement for a period of time until the taxpayer becomes eligible for an Installment Agreement. Once a taxpayer meets the eligibility requirements for an Installment Agreement, negotiations toward a formal Installment Agreement, if performed properly, can protect the taxpayer from enforced collections until such time as the Installment Agreement is approved. Assuming a taxpayer can attain filing and deposit compliance, he may be eligible for a Guaranteed, or Streamlined Installment Agreement. Those types of agreements do not require extensive financial review, but they do require a relatively low balance due. In many instances, the IRS will not notify a taxpayer that he qualifies for a Guaranteed or Streamlined Installment Agreement. This is another area where a tax professional can be of great assistance. But what if the taxpayer does not qualify for a Guaranteed or Streamlined Installment Agreement? The Internal Revenue Manual requires that the IRS tailor any plan for resolution of a liability to the taxpayer’s “ability to pay.” “Ability to pay” generally means “gross monthly income” minus “allowable expenses,” with the caveat that the IRS will also consider equity in assets when determining ability to pay. This opens the door to the IRS demanding that the taxpayer take out a second mortgage, downgrade to a more modest home, liquidate retirement accounts, close a business location, scale back business operations, or any of several other uncomfortable and financially harmful demands. A qualified representative can often negotiate an Installment Agreement without the taxpayer being required to make such drastic changes to the lifestyle he or she has worked so hard to attain. In order to determine the ability to pay, the IRS requires significant financial disclosure and review (unless the taxpayer is eligible for a Streamlined or Guaranteed Installment Agreement). The IRS will generally request a Form 433-A, 433-F, and/or 433B Collection Information Statement, along with verifying documentation like bank statements, cancelled checks, bills and invoices, etc. At this stage, it is extremely important to have a representative who specializes in this type of negotiation. A good representative will be able to review the financial documents with the eye of an IRS collection employee, and can advise on the best way to characterize the financials to truly reflect the taxpayer’s financial circumstances. IRS Revenue Officers and collection employees have many strategies for finding every last penny to extract from a taxpayer on a monthly basis. Using techniques such as challenging expenses as illegitimate, disallowing expenses deemed unnecessary, holding taxpayers to National Allowable Standards for Living Expenses, overvaluing assets, and disregarding revenue consequences from cutting business expenses, to name a few, the IRS fosters a culture of maximum extraction from a delinquent taxpayer. An experienced and competent tax professional should be able to negotiate reasonable terms notwithstanding the IRS culture of maximum extraction. On the other hand, taxpayers who try to negotiate non-streamlined Installment Agreements on their own or with the help of an incompetent professional can easily wind up paying hundreds or thousands of dollars more per month. Agreeing to a monthly payment that the taxpayer cannot afford can prevent the taxpayer from making ends meet and can lead to the default of the Installment Agreement. Default of an Installment Agreement should be avoided at all costs, as this tends to increase the chances of enforcement and decrease the IRS’s willingness to grant another Installment Agreement. It is much better to get affordable monthly payments approved the first time around than to enter into an agreement with unaffordable terms. Upon receipt of all requested financial documentation, and any additional clarifying information, the IRS will make a determination whether to accept or reject a proposed Installment Agreement. The IRS has to follow Independent Review and Appeals procedures when rejecting a properly prepared Installment Agreement proposal. This is another instance where a qualified tax professional can be the difference between success and disaster. You need someone who knows the rules that govern the IRS, has the experience to know which battles are worth fighting, and the know-how to exercise your rights on your behalf. If the IRS accepts the proposed Installment Agreement, its terms will require that the taxpayer make his monthly payment in full and on time every month, as well as maintain deposit and filing compliance. A formalized Installment Agreement removes the taxpayer’s case from Active IRS Collections, and allows the taxpayer to resolve the liability, free from the threat of unexpected and harmful levies, garnishments and seizures. The above is but a brief and simplified explanation of Installment Agreements. As a professional who represents taxpayers in collections, throughout any negotiation, I must constantly anticipate the IRS’s next move and outflank their collection efforts. A successful negotiation takes a significant amount of time, attention, follow up, and knowledge.